The Transylvanian Saxon dialect is a dialect of the German language that was mainly spoken in Transylvania, Romania prior to 1989, before most of the Transylvanian Saxons emigrated abroad. In Transylvanian Saxon, the dialect is known as Siwweberjesch Såksesch (often simplified as Såksesch), whereas in standard German it is known as Siebenbürgersächsisch or as Die Siebenbürgisch-Sächsische Sprache (literary, the Transylvanian Saxon language). It pertains to the Mosselle Franconian group of dialects (which in German is known as Moselfränkisch) comprising, aside from the Transylvanian Saxon dialect itself, three more dialects, namely Luxembourgish (Lëtzebuergesch), Lorraine Franconian and Riograndenser Hunsrückisch (Hunsrik). The Mossele Franconian group of dialects is part of the greater West Central German dialect family. All these four German dialects originated in Rhineland, Lorraine and Saarland. Because of its isolation from the rest of the German dialects, the Transylvanian Saxon dialect is one of the most archaic dialects of the German language, with a long standing history at the crossroads of Central and Eastern Europe. Developing itself isolated from the other German speaking areas since the round of the 12th century, the dialect preserves many archaic linguistic features of the German language as it was spoken during the High Middle Ages. 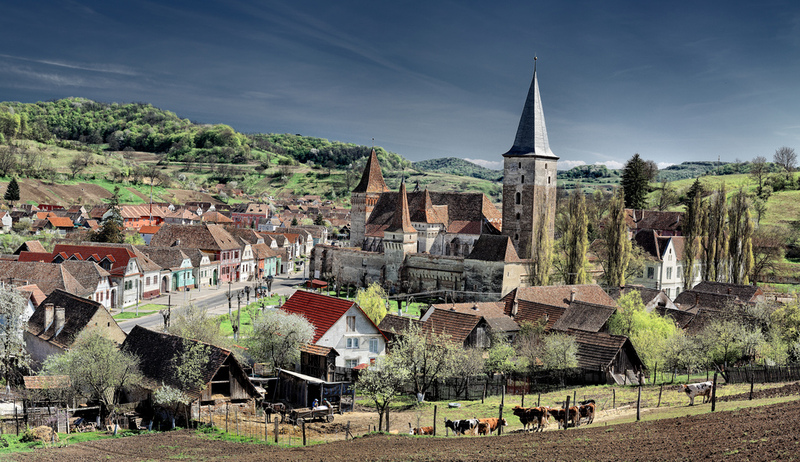 Its history commences in the 1150s, when the first arrivals of the German craftsmen, miners and traders, made at the demands of King Géza II of Hungary, are documented to have taken place in Weinland and Altland (located in the proximity of the cities of Mediasch/Mediaș and Hermannstadt/Sibiu, in south-eastern Transylvania, modern day Romania). After the first waves of German settlers established a series of villages with fortified churches as well as several consolidated urban trading centres in south-eastern and north-eastern Transylvania, it must be mentioned that most of the urban dwellers used standard German, while the rural Saxon communities preserved varied local dialects (which differed in lexis and pronunciation) that will later on evolve into the Transylvanian Saxon dialect proper. Quite many linguistic features of the Old High German were thus preserved almost intact from the time of the Saxons’ arrival in Transylvania, these being either inexistent or very rarely used in the German dialects spoken in modern day Germany, Austria or Switzerland. Currently, the number of native speakers of the Transylvanian Saxon dialect is estimated at 200,000 (the vast majority of them now live in either Germany, Austria, the United States or Canada). To this date, in Romania, only a few of them decided to remain. The 2011 Romanian census counted roughly 36,000 ethnic Germans still living in Romania, yet this figure does not specify the precise number of those who speak Transylvanian Saxon as their native language. Of these 36,000 ethnic Germans currently residing in Romania, aside from the Transylvanian Saxons, there are also other German-speaking groups such as Banat Swabians, Sathmar Swabians, Zipser Germans or Transylvanian Landlers.